Did you learn interesting or helpful things? 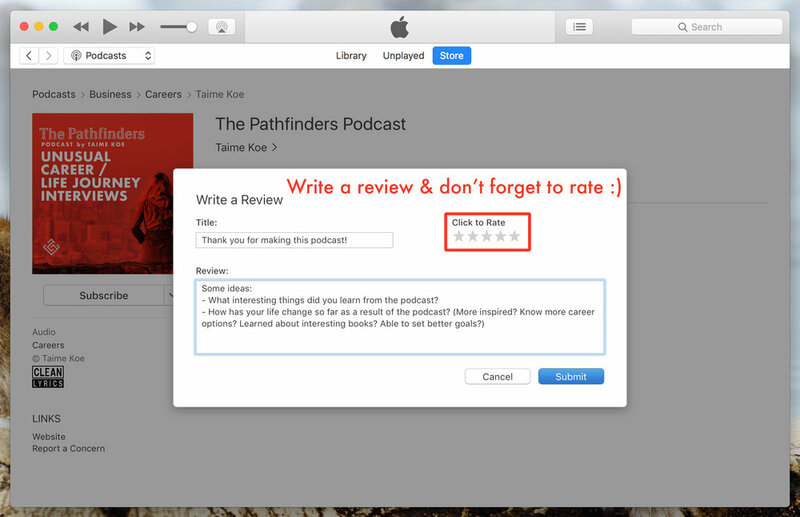 Write an honest review on iTunes! But what should I write? I'd love to see a more descriptive, honest review than a super short "This is great!" message. What's something new you learned from the podcast? 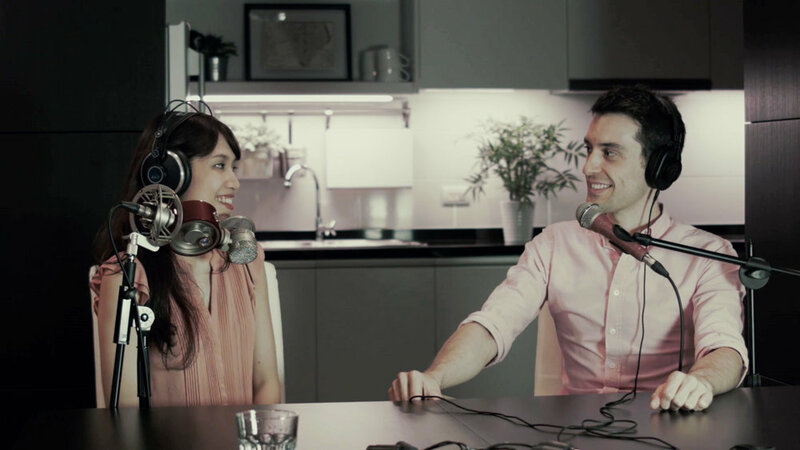 How has your life changed so far as a result of the podcast? e.g. new goals, more inspired to follow your interests, or know more career options. What do you think of books that the guests recommended? 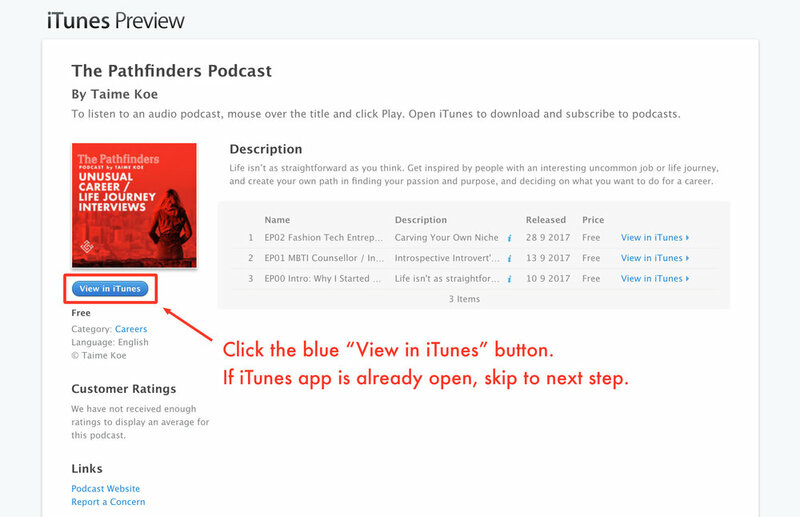 Step 2: Click the blue "View in iTunes" button. 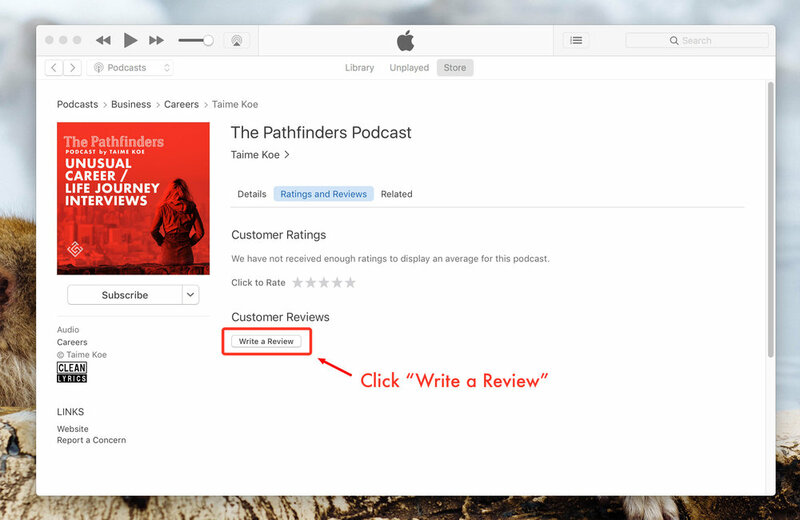 If iTunes app is already open, skip to Step 3. 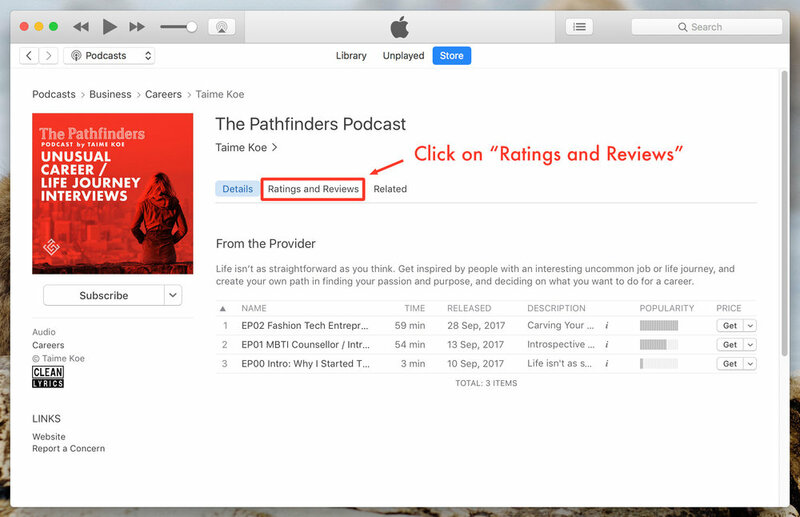 Step 3: Click on "Ratings and Reviews"
Step 4: Click on "Write a Review"
Here's the button one more time, so you won't have to scroll back up. Let me know how I can improve the podcast or what you want to see in the future. Leave your email if you want a reply or don't mind discussing your feedback further.